'Immerse the baby's head/Wrap her up in the News Of The World/Dump her on the doorstep, girl.' Challenging lyrics indeed, which worried the BBC initially. It’s the old old story come back to haunt us, isn’t it? If you remember my post concerning the Housemartins and the appalling lack of a concentrated Peel Sessions complete set, as opposed to piecemeal reissues cynically designed to make people buy more vinyl and CDs, then you will know what I mean. 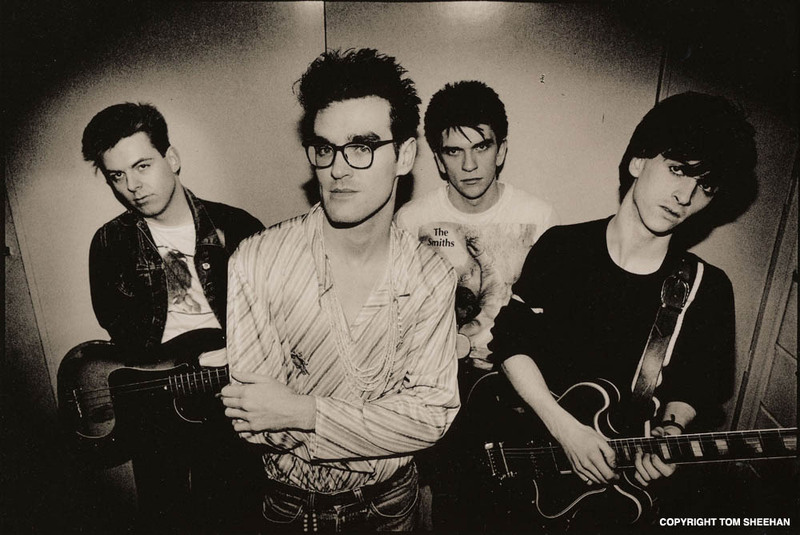 The same has happened to one of the most celebrated group of studio tracks ever to come out of Maida Vale, those of the Smiths. The first session appeared in full on a (now deleted) Strange Fruit vinyl-only release, then three of the tracks and the complete second session turned up on Hatful Of Hollow. However, the last two were sporadically issued as extra tracks on singles (one being issued on Louder Than Bombs) and the very last song of session 3 has never appeared anywhere. Now with a piece of history as important as this, and a band who made such an impression both on the Festive Fifty and on Peel’s show as a whole, the time is surely ripe for a remastered set of the whole lot. If done properly, as per the treatment afforded the Wedding Present and the Fall, the result would be one to treasure. But don’t hold your collective breaths. In lieu, therefore, today’s collection features all of the 16 tracks put down by the band over the years in one handy bundle. Of these tracks, Reel Around The Fountain (FF 1983 #6 and 1984 #36) is probably unique in the chart’s history in that it would appear to be the only Peel Session song that made the chart in two consecutive years: indeed, the only one ever to appear twice. The reason for this anomaly was the fact that it made the first chart on the basis of the session broadcast alone (the first year any session tracks had done so) and the second time as a result of its official release on Hollow. Peel considered excluding it, but wanted to hear it again, so there it was. Forgetting the pathetic and spurious hysteria whipped up by the Sun over its alleged references to paedophilia, this tops a staggering achievement by the band: as Ken Garner said, ‘you can still hear the group’s original, unique character echoing in those session tapes today’. Two other session tracks made the Fifty (Nowhere Fast, FF 1984 #14; and Sweet And Tender Hooligan, FF 1987 #23), and two of these songs, This Night Has Opened My Eyes and Back To The Old House were never again recorded in these arrangements, but listening to these as a whole tells a story of pop history in the making. And that’s no exaggeration. may i echo the message above. thanks ! cool to hear the smiths early on before it all went horribly … wrong. Thanks for these, and have a fantastic 2010. Music addiction serves as a surrogate for lost human bonds. Songs can pierce one’s heart directly; it takes no mediation. Regular Tropical House mixtapes posted each and every Wednesday. Listen to us out on SoundCloud.